Fiji, New Zealand and Australia were the best team on the opening day of the Dubai leg in the Men's HSBC World Rugby Sevens Series as they went on to top their respective groups. Fiji, New Zealand and Australia with three wins from as many games topped Pool B, Pool C and Pool D respectively while South Africa managed to finish the group stage at the top of Pool A with just two wins and a better point difference. Apart from the top four, Argentina, Scotland, USA and England have also progressed to the knock-out stage after finishing second in their respective groups. 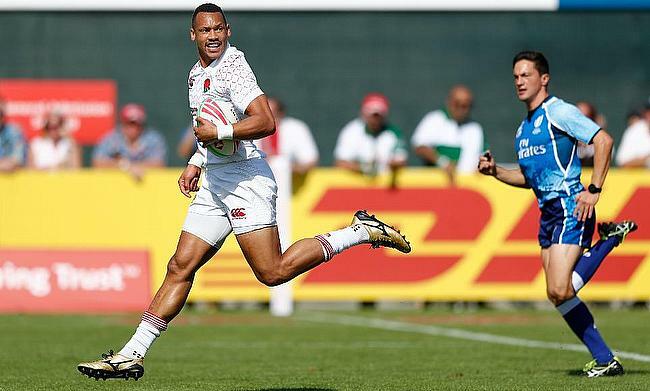 Meanwhile, Dan Norton went into the record books as he became the first player to amass 300 tries in the history of HSBC World Rugby Sevens Series. South Africa kick-started their campaign with a resounding 31-0 win over their Zimbabwe counterparts but were pushed hard in their second game against Samoa where they got away with a 19-12 win. The second result proved decisive for them as the 12-17 defeat against Argentina did not quite affect them with the other results going their way to finish top. Argentina entered the last game with two tight matches against Samoa and Zimbabwe that saw them lose 19-21 and win 22-19 respectively but stepped up when it mattered the most during the game against the Blitzboks while Samoa were unlucky to miss out despite all three teams ended up on same points of seven. Fiji dominated the group and extended their dominance in the sevens format with convincing wins of 41-0 and 43-12 against France and Kenya respectively while a tight 21-17 win over Scotland meant they finished at the top. With Kenya losing all their three games, the second spot was up for the grab between Scotland and France where Jamie Farndale and Gavin Lowe scored tries for the Dark Blues to give them a seven point lead at half time but a double from Jonathan Laugel saw the game tied at 14-14. Despite, Laugel's heroics France had to miss out on the top eight berth because of inferior point difference as compared to Scotland. New Zealand like their Women's side dominated the group stage with 28-7, 28-17 and 24-7 wins over Wales, Spain and USA respectively to take the top position while USA's 29-0 win over Spain proved decisive as they went on to occupy the second position in the group. This pool started in style with Norton crossing for his landmark 300th try after just four minutes of England's match with Canada. The 30-year-old kick-started England's scoring and would finish day one with three to his name. England with wins over Canada and Japan looked good but lost the battle for the top spot against Australia where they were edged out 22-19 to finish second in the group. Australia, who have never won the tournament in Dubai, racked up the highest points total of the first eight matches with their 43-0 win over Japan to take the pole position with Canada and Japan missing out.